Smartphones are in dire need of innovation, and Samsung is trying its darndest to stand out amid a sea of boring black and white rectangles. The Samsung Galaxy Note Edge is certainly creative. Its defining characteristic is a small portion of curved glass that bends around the right side of the phone. It's unlike anything else you've seen on a smartphone. That tiny curve on the Edge's display functions as a second screen. It can display a list of apps, quick settings, notifications, weather and the time. It also serves as a stopwatch, timer, health tracker, Twitter (TWTR) feed and even a ruler. It's unique. But, like most Samsung phones, the Edge's defining feature is more gimmicky than helpful. The Edge doesn't do much that your smartphone can't (and other than the curved edge, it's essentially a Galaxy Note 4). Instead of displaying Android's typical dock of four apps at the bottom of the screen or notifications at the top of the screen, the Edge just relocates them to the right-hand side of the phone. The same goes for the quick settings, weather and all the other Edge features. Even my favorite Edge feature, the dimly lit night clock, is essentially just a relocated version of Android's "daydream" clock. The curved edge mostly just ends up getting in the way. When watching a video or using an app that doesn't make use of the special Edge feature, the curve just displays a persistent "Galaxy Note Edge" scribble that I couldn't stop looking at. It is also a bit awkwardly located, since it's where righties' thumbs and lefties' fingers usually rest. The Edge is smart enough that it doesn't pick up accidental taps from resting fingers, but sometimes making a selection requires some double-tapping. Despite its weaknesses, there's something admirable and kind of fun about the Galaxy Note Edge. Most innovations in the smartphone space focus on bigger screens and better cameras. Those improvements are important, but it also means smartphones are becoming like PCs, with little discernible difference between them. 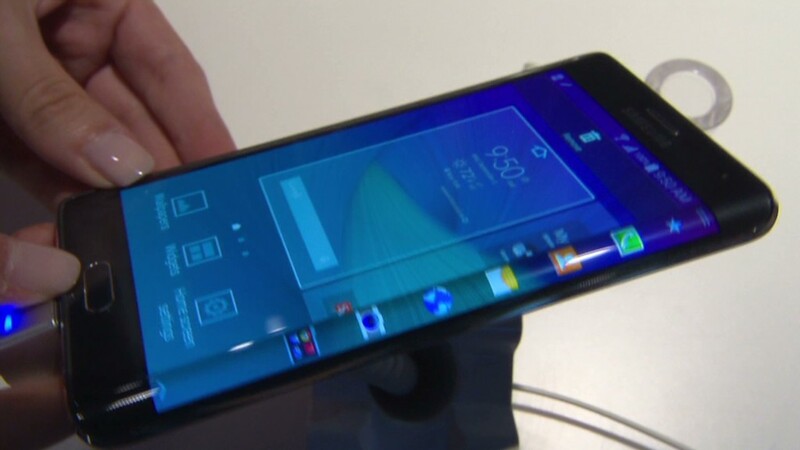 The Galaxy Note Edge shows that there's still some tinkering to be done with the basic concept of smartphone design. Why do screens need to be flat? What new things can smartphones do if they are shaped differently? Samsung, for all its WTF ideas (and there are a lot of them), is at least trying to break gadgets out of the boring molds that they've been forced into over the past several years. The Galaxy Note Edge might not have succeeded, but Samsung gets an A for effort.